In January I went to New York for a few days to run some errands for my family and I took the opportunity to also do some tea related stops for myself. 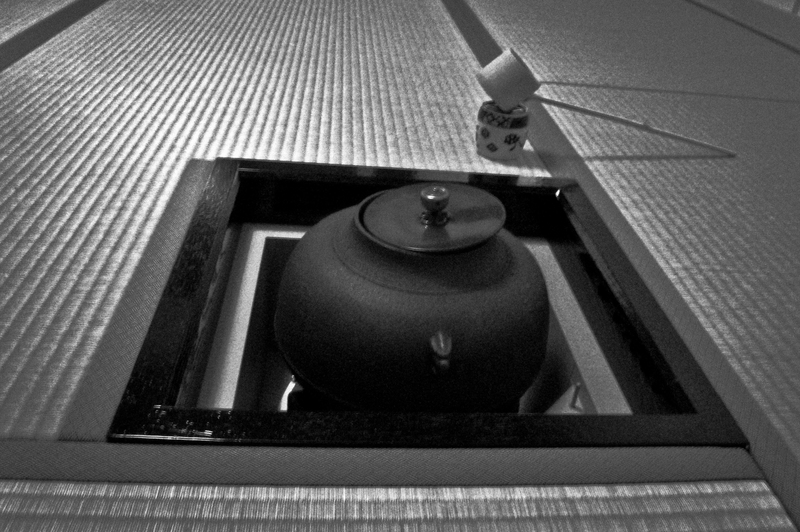 While planning my itinerary, I found a Japanese Tea Ceremony that I had been looking forward to doing again for a long time. The first time I joined a traditional Japanese tea ceremony was in Argentina when I was studying to be a Tea Sommelier and I instantly fell in love with it. I learnt to appreciate Japanese Tea in a different and much more special way… It also made me look for places that hold the traditional ceremony everywhere I go. So in New York I found Globus Washitsu, a unique space that offers classes and demonstrations of the traditional Japanese Tea Ceremony right in the heart of the city. It is hosted by Tea Whisk and its Japanese Tea Master Souheki Mori. The Chashitsu (Teahouse) at Globus Washitsu was built as a traditional teahouse from Japan and the whole place feels like a little piece of Japan in New York. Even before entering the teahouse you can hear the sound of the water falling, walk through a path of stones and the re-creation of nature, as it traditionally is. So everything was in place to create the right atmosphere to be immersed in the ceremony. I joined the tea service with two students and there we were, the four of us, ready to forget about the outside world and enjoy “the way of tea”. We took our shoes off, left our belongings behind and entered the teahouse. We sat on the tatami, on our heels and few minutes later, everything began. Souheki brought the equipment and the tea, walking in the traditional way, wearing a kimono and moving graciously and as effectively as possible making everything look seamless and effortless. She sat and started preparing the tea. In this occasion I was chosen as the “guest” during the ceremony so I sat next to her. I also got my tea handed first and even received an extra wagashi (sweet). In the pictures you will see the delicacy of the sweets we had. They were handmade by a Japanese baker and brought directly from Japan. On this occasion we had the Mount Fuji and the rising sun to accompany our tea. Both sugary and delicate, perfect to accompany the matcha tea. Souheki then talked us through the tokonoma, the tapestry and the ikebana she had chosen specially for the beginning of the year and the ceremony. She also read a poem that was a palindrome, about the first dreams of the year and its meaning in the Japanese culture. The whole experience of being there was special. Globus Washitsu is a real meeting point for people interested or working in the promotion of Japanese culture in every way. I was there sharing my love for tea but surely there is space for everyone. At the end of the ceremony I met Stephen Globus, one of the owners of Globus Washitsu who warmly welcomed me. I will be back again next year, no doubt! Between 19th and 20th Street. Thank you very much, the pleasure is mine!